Few weeks prior we were here at St. Joseph's Catholic Church to capture Araceli & Jose's wedding. We are truly grateful to have been asked to be part of their family's celebrations. We had the privilege of being part in one of the most important times in the her childhood - Isabella's First Communion. 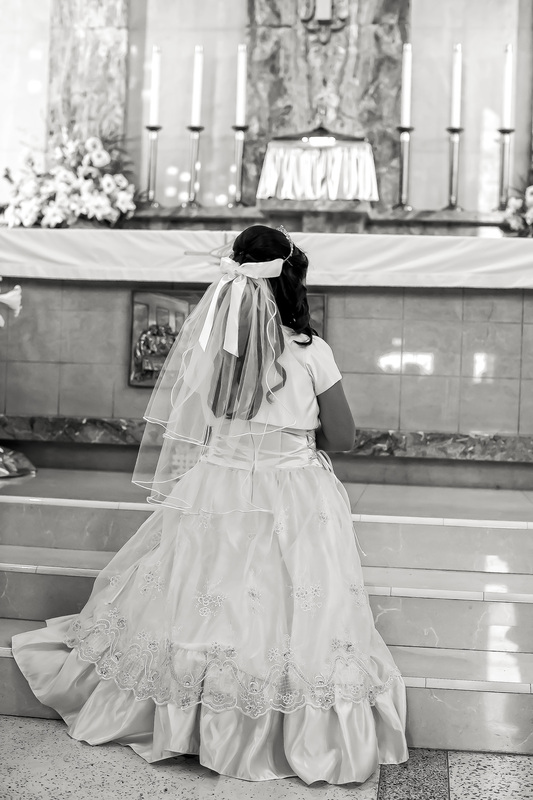 As a Roman Catholic, first communion is a person's first reception of the sacrament of the Holy Eucharist. Although there are so many great images of Isabella, her family and the celebration, these images were chosen to share the special moments captured of Isabella during this time. Isabella we are very proud and excited that you have taken this step in your faith and will continue to grow in your relationship with GOD. Older PostYamashiro Family - Part II // SURPRISE!